I’m guessing from the ingredient list this would be used as sort of a hair dressing. When I was a teenager I used hair dressing every night, feeling absolutely in my heart they were helping my chemically damaged hair. I smoothed it on my ends every night and combed and set my hair, believing all the promises on the label how it would repair my broken ends and help with growth. And every morning I woke to the same damaged hair breaking off and raining in little hair shards all over my shoulders. Now, chemical free, I don’t use any hair dressing at all. I mean, in an emergency, I might put on a little olive oil on my ends (since that’s what I use as my body lotion – I’m cheap and go through too much lotion to pay a lot for body butters and all that stuff when a simple oil does the same). But I don’t even use oil on my ends. They don’t need it. All I use is a good conditioner, and my hair slaps me on the behind when I’m in the shower. Okay, so that’s a long way of saying I think hair dressings are a waste of time. But if you feel you have to use one, I’d just go with something cheap and natural like olive oil, shea butter, or coconut oil, or some other natural oil. 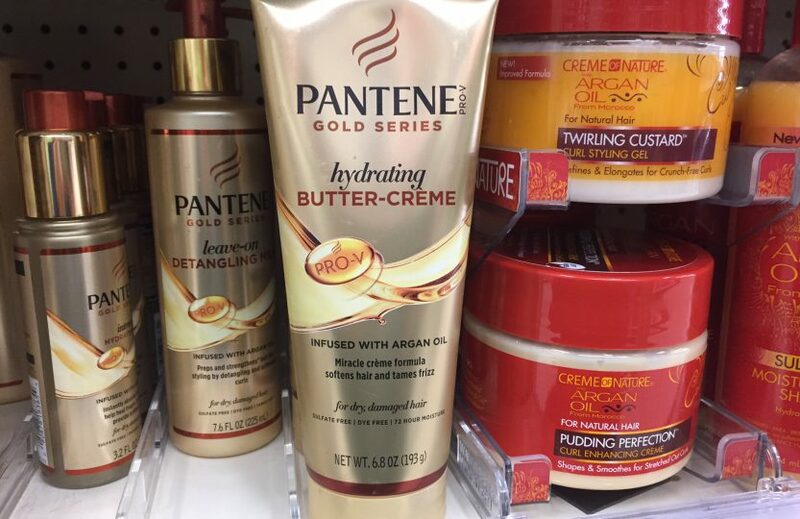 This product has vaseline (petrolatum) high up on the ingredients list, which will coat your hair, but I just imagine how stiff and oily this formulation would be to use. And man, if you are prone to breakouts as I am…yikes. Just reading over the first few ingredients in this made my skin shudder. I must confess I didn’t look up any other ingredients in this product. To save energy, I usually keep going reading/ looking up ingredients until either an ingredient or ingredients disqualifies the product, or nothing disqualifies the product, and I buy it and try it. 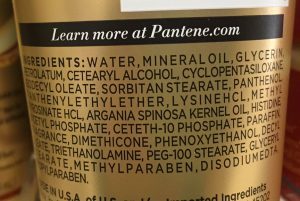 So once I saw the first few ingredients on the list of this product, that was enough for me to snap a few photos of the front, and the ingredients on the back, and move on to the next product to check out.